Android smartphones are constantly being upgraded but they still lack the ability to display the notification organized under a proper set of categories, like games, productivity, social etc. There are lots of third-party applications that will help you personalize the way of receiving notifications. With the right app, you will be able to lighten up the display in different colors when you receive notifications from different apps you use. To help you, we searched and we found one amazing personalization app that will lighten app your display when you get notifications. Let’s see what the app offers you. This is one highly practical personalization app that is easy for using, offering users the easiest way for them to personalize their edge display in order to receive colorful alerts when they have notifications from different social apps on their phone. 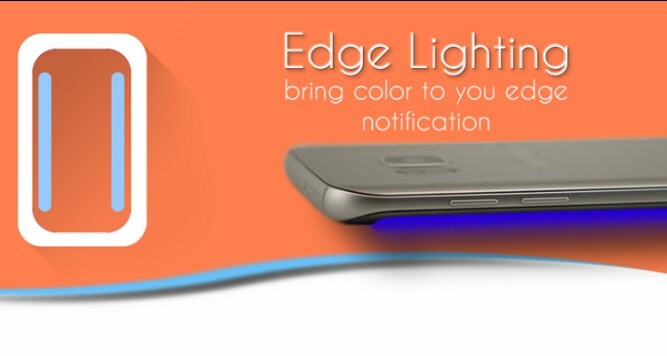 Developed on android platform, by using this app, users will be able to lighten up the edge display, personalizing and changing the way of how they receive notifications. The app offers a lite version as well, instantly alerting users of notifications they received when their screen is off. With incredibly designed animations that will pop up when the user’s screen is off, allowing the user to set them as he wants for each app he has. 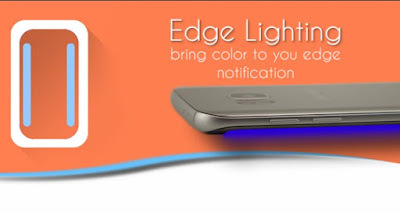 The Edge Lighting and the Edge Lighting Lite are offering the android galaxy users to use this app for choosing and setting a colorful alert for notifications they get from different apps on their phone, users will receive a color alert animation in seconds. A varied palette of animations that are uniquely designed are offered to the user and he can choose the one he likes the most. Users with this app are able to personalize the animation they choose and even use drawing characteristics to modify them. Also, the app offers users to set animation time as they want and choose the color for each app they own, customizing the effects by preference. The app also offers amazing reminder feature. Gorgeous animations are available for the user when his phone is placed with a screen up and updated monthly and by disabling the visual notifications users can save battery when they need it. The app is designed for users of Galaxy S7/S7 Edge, S8/S8+, S9/S9+ as an improvement of Edge Lighting feature. Users will choose from choose beautifully designed animation for each app that will pop when their screen is off. Maximum of 4 apps can be set with the lite version of this app and an unlimited number of apps can be set with the standard version of this amazing lighting app. Download this app for free on Google Play now to lighten up your edge display by preference!